Having healthy teeth and gums is important for chewing and breaking down food for better digestion, as well as optimal nutritional intake. If your teeth and gums aren’t healthy, you may experience oral and general health complications as a result. That’s where your dentist steps in, for they can help treat oral conditions and disease so that your oral health stays on track. However, there is another important job that dentists do – cosmetic dentistry. Cosmetic dentistry refers to dental work that is used to correct and improve the appearance of your smile. There are a number of smile issues that cosmetic dentistry can fix. Cosmetic dental problems don’t necessarily affect your oral health, but they can have a huge impact on your appearance, “smile” confidence and emotional well-being. Teeth whitening is by far the most common cosmetic dental treatment that people seek to brighten their smile. However, this treatment is mostly suitable for extrinsic or superficial stains caused by long term consumption of certain foods and beverages that stain your teeth. On the other hand, intrinsic stains are usually caused by certain meds and aging, and are deeply embedded in teeth. These require cosmetic options such as veneers or crowns. Spaces between teeth may develop due to developmental or tooth drift problems. This can cause a smile to look uneven and draw attention to the gap. Orthodontic treatments, such as aligners or braces, are the best long term options. They require a lot of patience and potential discomfort on the part of the patient because treatment can take months or even years. For quicker results, cosmetic treatment options such as dental crowns and veneers are quite popular. A smile can look uneven if your teeth aren’t in their proper positions. As above, orthodontic treatment is the best long term solution. However, more immediate results can be achieved through the use of dental bridges and veneers. People tend to cover up or limit their smile if they have a missing front tooth because it’s just so obvious. That’s why tooth replacement options are important to improve the smile confidence of those missing a tooth. Your dentist can recommend the best option for your situation which may be a dental bridge, a dental implant or removable dentures (partial or full). Teeth that are damaged through accident, tooth decay or wear & tear can be repaired and restored to their original function and appearance via a few dental options, including fillings, inlays, overlays and crowns. Most people are familiar with tooth decay but not tooth erosion. Tooth erosion should not be confused with tooth decay which is a type of tooth damage caused by bacterial acidic by-products – however they are similar. 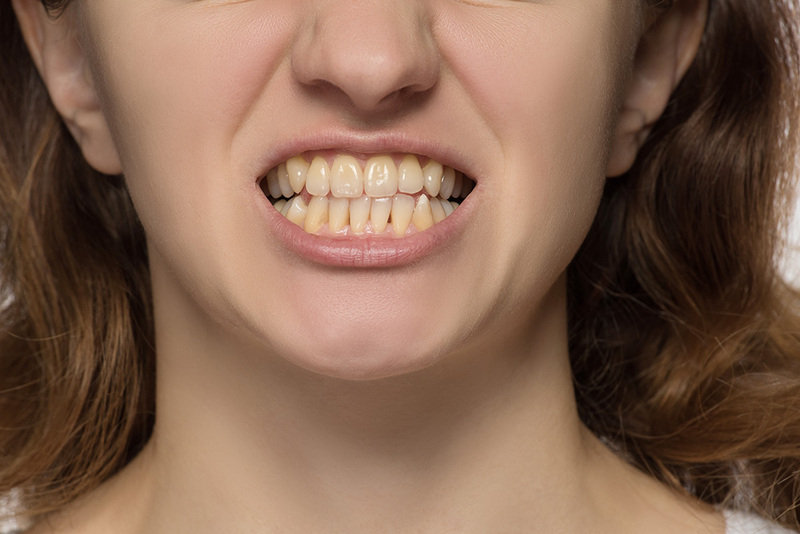 What is tooth erosion and what causes it? Tooth erosion occurs when you lose tooth structure, namely your tooth enamel, due to chemicals. The chemicals that cause erosion are found in acidic food and drinks, or acid refluxed from your stomach. 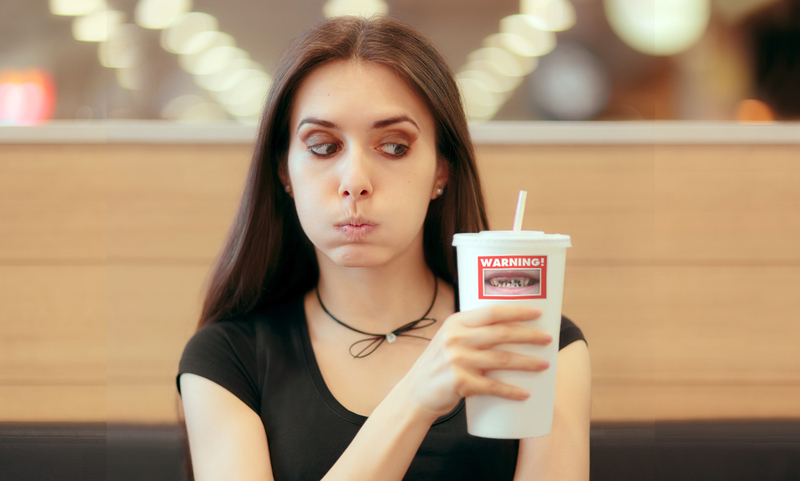 If you consume excessive amounts of acidic food and drinks daily, then you have probably already experienced tooth erosion without realising it. For example, soft drinks can contain high amounts of citric and phosphoric acid. Sipping on them as opposed to using a straw can bath your teeth in an acid bath that can wear away your teeth continually. Other possible causes of tooth erosion include bulimia, GI problems, certain medications and genetics. 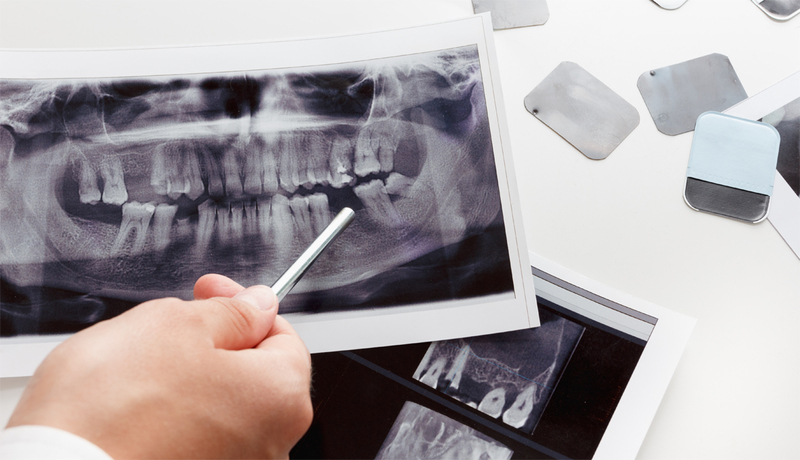 How does your dentist measure tooth erosion? the impression that your natural tooth structure appears to be sinking around a filling. How can tooth erosion be prevented and treated? To prevent erosion, limit the amount of acidic foods and beverages that you consume. When you eat or drink them, do so promptly and try rinsing any residue left in your mouth with water. As far as dental treatment goes, there’s only so much your dentist can do since enamel loss is irreversible. However, your dentist can restore an eroded tooth to protect the inner tooth structure or dentin. Try using a fluoride or desensitising toothpaste to strengthen your tooth enamel as well. A new study* conducted by New Zealand researchers at the University of Otago aims to figure out why high fibre foods are good for your oral health. Previous clinical research has already established that a higher fibre and wholegrain intake is beneficial for oral health, but the Kiwi scientists now want to better understand the actual mechanism that makes it so. 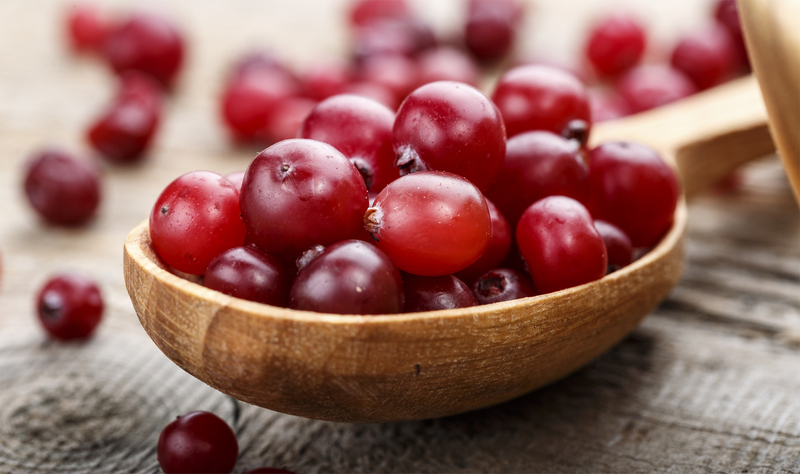 How do high fibre foods benefit your oral health? Cleansing action. The fibre in high fibre foods may gently scrap and buff your tooth surfaces, removing plaque build-up in the process. Oral bacterial inhibition. Certain substances found in the bran layer of wholegrains may inhibit the growth of oral bacteria. Chewing increases saliva production. Consuming high fibre foods involves a lot of healthy chewing. This increases your mouth’s production of cleansing, anti-bacterial saliva, as well as stimulating blood flow to your teeth & gums. What are the best high-fibre foods? Vegetables – Vegetables that are rich in fibre are generally richer or darker in colour but there are exceptions. High fibre veges include carrots, celery, broccoli, beetroot, leafy greens (incl. spinach, silver beet, pak choi & kale) and potatoes (incl. sweet potato). Fruit – High fibre fruits include apples, oranges, pears, bananas and berries. 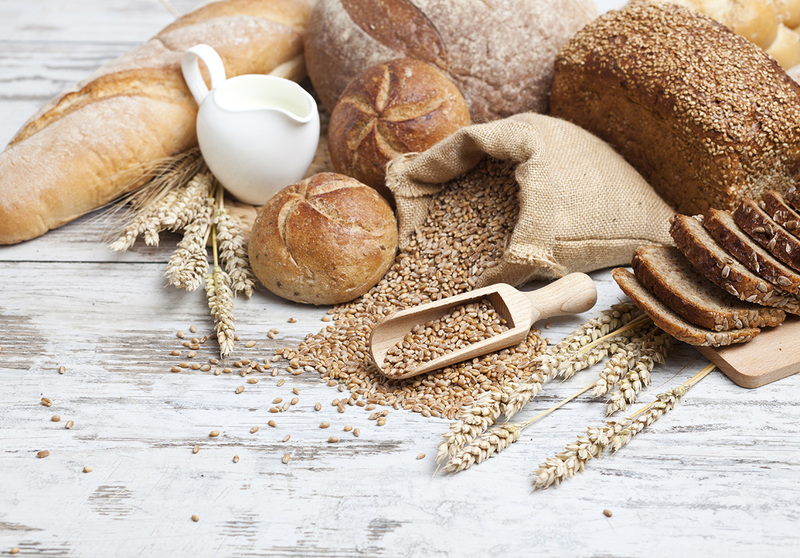 Wholegrains – Wholegrain foods that are high in fibre include intact wholegrains and finely milled wholegrains such as whole grain breads (dark rye, pumpernickel & whole wheat), oats, brown rice, wild rice, bran and barley. Choose bread with at least 3 grams of fibre per slice. Beans and legumes – Try adding more lentils, peas and beans to your casseroles, soups and salads. Seeds & Nuts – Watch the calories but try loading up on chia seeds, quinoa, pumpkin seeds, sunflower seeds, pistachios and almonds. How much fibre should you eat per day? The Heart Foundation’s recommended intake of fibre per day is 30 grams for men and 25 grams for women. 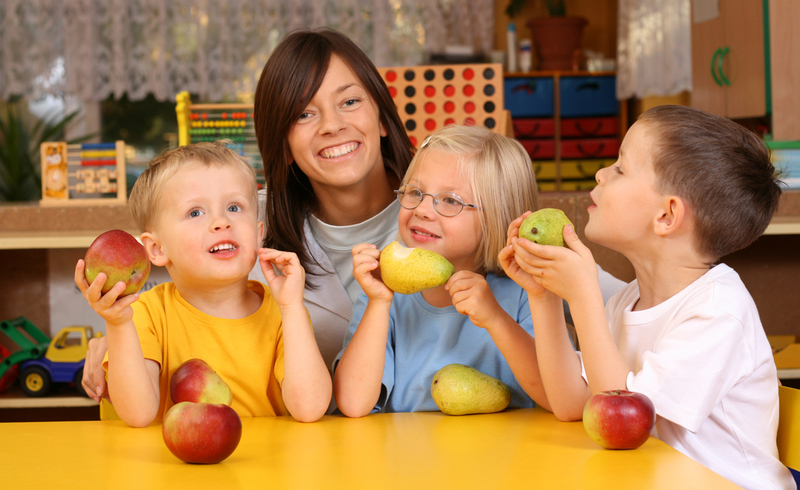 Children aged between 4 and 8 years old should consume at least 18 grams. Girls aged between 9 and 18 years old should increase their intake gradually from 20 to 22 grams, while boys need to consume 24 to 28 grams. But it’s totally ok to eat more than these recommended amounts! approx. 2 serves of fruit daily. Keeping your tongue clean is an important part of oral health care and hygiene. Why? Because oral bacteria can build up on your tongue, just like it does on your teeth. If excess bacteria accumulate on your tongue, you may experience halitosis or bad breath. But that’s not all. You may also be at higher risk of more serious oral health complications, such as oral infections, periodontal disease and lung infections. Cleaning your tongue is very important if you want to reduce pathogenic tongue bacteria. Take Fusobacterium Nucleatum for example. It is a highly invasive bacterium that causes periodontal (gum) disease. F. Nucleatum feed off fermenting carbohydrates and cause dental plaque. These microorganisms live quite comfortably in the mucus on your tongue. They can proliferate into huge colonies within tongue mucus, which can contain 100s of millions of these nasty rod-shaped critters. Now imagine brushing your teeth, but not your tongue. As soon as you put down your toothbrush and close your mouth, your bacterially coated tongue is going to redeposit millions of bacteria straight back onto the teeth you’ve just cleaned! F. Nucleatum can also infect the head, neck, chest, lungs, liver and abdomen if given the opportunity. Tongue cleaning is a crucial part of a general health routine to help prevent pathogenic bacteria from spreading to the rest of your body. Many previous clinical studies have shown that you can inhale aspirated oral bacteria from your mouth straight into your lungs. This can lead to health complications if your immune system is under par. According to a new study published by Japanese dental researchers in August 2018, a bacterial imbalance on your tongue can lead to pneumonia and other respiratory health problems – especially if you are an older adult with missing teeth, high plaque levels and more tooth decay than usual. The Japanese researchers noted that equal attention should be given to maintaining proper oral care of the tongue, as well as the teeth and gums, for good oral health. Sugar is the new tobacco. For years, the side effects of excess sugar consumption have stayed under the radar of the Department of Health. 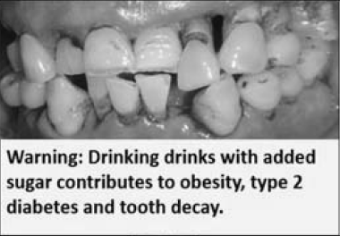 Now, it’s finally under scrutiny, since being identified as a contributing factor to rising rates of obesity, diabetes, cardiovascular disease and preventable tooth decay – in Australia and the rest of the world. Taking their cue from tobacco “front-of-pack” health labelling, researchers from Deakin University wanted to find out if a similar approach could work with consumers of sugary drinks. In their recent study, the researchers asked 1000 participants, aged 18-35 years old, to select from a range of sugary and unsweetened beverages with or without health labels. While the unsweetened beverages had no labels, the sugary ones had health labels that included front-of-pack graphic/text warnings, the number of teaspoons of added sugar and/or a Health Star Rating. The Australian researchers found that participants felt dissuaded to choose a sugary drink with a front-of-pack health label or a low Health Star Rating – for health reasons. Front-of-pack graphic warning labels had the greatest impact – with 36% of participants saying they were less likely to a sugary drink with one. Health Star Ratings labels scored 20%, while “number of teaspoons of added sugar” labels scored 18%. The lead author of the study, Prof. Anna Peeters, stated that front-of-pack health labelling on sugary drink containers has the potential to: change consumer behaviour; reduce sugary drink sales; prevent excessive sugar consumption; and help people to be better informed and more health conscious about their drink choices. Since sugary drinks are the largest source of added sugar in our diets, Peeters noted that a front-of-pack health labelling strategy should be introduced as soon as possible, to help reduce the high rates of obesity, type-2 diabetes and preventable tooth decay in Australia. Peeters also noted that front-of-pack health labels should be designed with children and adolescents in mind, since they represent the highest consumer group of sugary beverages in Australia. 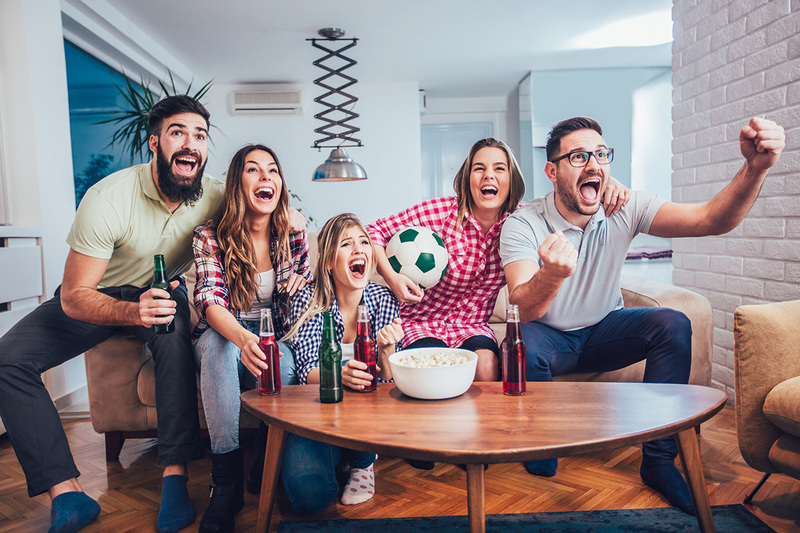 If you’ve been binge watching the FIFA World Cup on TV, your teeth won’t be at risk from a direct hit to the face from a soccer ball, unlike the actual players in the game. However, you may be putting your teeth at risk if you binge snack at the same time. Binge watching and binge snacking often go hand in hand during World Cup time, not to mention other marathon sporting events and streaming services, such as Netflix. Sugary or starchy snacks eaten in moderation are okay, as long as you practice good oral care and hygiene afterwards. But when you watch a marathon TV event all through the night, those rules often fly out the window. In fact, you may be susceptible to all sorts of abnormal snacking behaviour while you binge watch. If you happen to fall asleep on the sofa with a mouthful of sugary food residue at 2am, another World Cup party of a different kind will start up for the billions of oral bacteria in your mouth. Within a short space of time, the acidic by-products from the oral bacteria will start to eat away at your tooth enamel, causing accelerated tooth decay and potential cavities. Take control of your binge snacking by limiting the amount of snacks you consume. If you are watching a game, eat your fill of snacks during the first quarter of a game to get yourself going. At half-time, take an oral hygiene break by rinsing your mouth and/or brushing your teeth. Once the 2nd half starts up, settle down for the rest of the match with a clean, fresh mouth. If you fall asleep towards the end of the game – no worries! If you watch another match and still feel hungry, repeat the process. Not all snacks are harmful to your teeth – just the sugary, starchy ones. There are heaps of healthy snack choices, including: fresh fruits and vegetables; unsweetened whole grains; unsweetened dairy products; and meats, nuts & seeds. Dental emergencies can occur at any time, and usually involve injury to your teeth or mouth, severe toothache, bleeding, oral infections and swelling. During these events, it is important to stay calm and make sure that you take rational steps to minimise further damage and prevent potential tooth loss. In any dental emergency event, seek immediate treatment from a dental professional. Seeing a dentist within 30 min may be a critical window of opportunity if you want to save a severely damaged or knocked-out tooth. Almost all dentists have emergency slots in their schedules so you can receive emergency promptly. It’s important to call your dentist at the time of the emergency also, because they can advise you over the phone on crucial first aid steps you can take before you make it to the clinic. 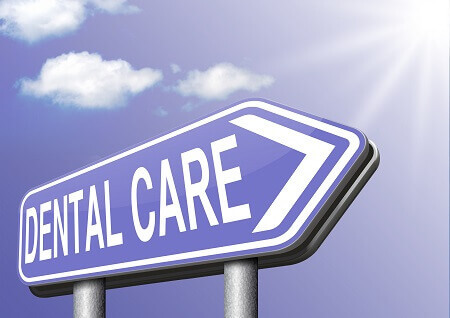 If the emergency occurs at night or on a weekend, then look up the nearest clinic or hospital that handles after hours dental emergencies in your area. 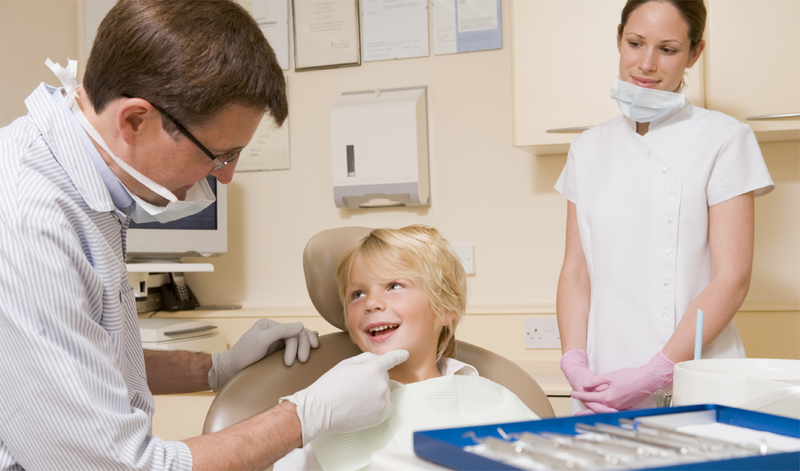 You can avoid, prevent, or at the very least, minimise the damage from dental emergency accidents – before they happen. If you engage in contact sports or risky recreational activities, wear the right safety gear. With regard to protection from potential oral injuries and trauma, wear a safety helmet, if appropriate, and a custom-fitted sports mouthguard – even during training sessions. Don’t use your teeth as a utensil to open packages or plastic containers – you’re asking for trouble. Use scissors instead. Avoid chewing and crunching down on hard foods or objects to prevent tooth chips or fractures, and be wary of some types of chewing candy that can even lift out fillings and inlays. Last but not least, maintain your oral health by brushing and flossing twice a day, and seeing your dentist twice a year for a preventative check up and clean!